These are the words of a survivor. After Cyclone Idai wrought havoc on Mozambique, Zimbabwe and Malawi, not everyone was as lucky as João. The intense tropical storm left more than 1,000 dead, thousands still missing, and hundreds of thousands displaced. For many reasons, including the difficulty of travel to that area, this disaster has received little coverage in mainstream media. But the needs in that region are urgent. Even in the ongoing search for the missing, the rush to meet basic needs for survivors is overwhelming relief organizations. And, as is often the case, pre-existing infrastructure issues make those efforts even more challenging. With little power, few roads, and limited communication, getting resources to all the locations in need proved almost impossible. Now, several weeks after the initial event, complications begin to arise and create secondary crises. Contaminated water sources mean that cholera is beginning to spread throughout some communities. And now, with over a million acres of crops lost to flooding, hunger is a growing concern. With support from Week of Compassion, ACT Alliance is providing clean water, food, health services and basic shelter to those who most desperately need it. Meanwhile, the United Church of Christ in Mozambique headquarters were located in Beira, the community in the center of the cyclone and the hardest hit area. In addition to taking part in the efforts to mobilize relief to those who need it, UCCM is using their own headquarters-- which was severely damaged--as the hub for organizing supplies. Through Global Ministries, Week of Compassion has provided emergency grants to support these efforts to bring relief in spite of overwhelming challenges. Working closely with Global Ministries and our partners, we help provide support wherever there is need in the world, and lift up communities in prayer in times of suffering. For such a time as this, God calls us to work together to meet the needs of those who have lost so much. While the site of devastation lies half a world away, we know that we are all one human family; making the love of Christ known through our prayers, our presence, and our gifts to those in need. The recovery efforts will take months, and rebuilding again will take years. Week of Compassion will continue to support immediate relief to meet basic needs, and we are also committed to ongoing meaningful presence through the stages of rebuilding. If you would like to support the communities in Mozambique, Zimbabwe, and Malawi that have been affected by Cyclone Idai, please visit our website; gifts may be designated for “hurricane/cyclone/typhoon.” Know that anything you share will help our partners on the ground bring relief where it is most needed. God of Creation--you spoke, and there was light. you separated heaven from earth, and you filled the world with life. We know that you made all things, and abide in all things. And yet, there are days when it feels that all earth is in chaos. When human violence destroys the innocent--hear our prayer for peace. When the flood washes away life as we knew it--lead us to still waters. When fires rage--send your calming rains. When high winds tear down what we have built--give us strength to build again. Where your people are hurting-- send us with a word of hope; a sign of peace; and the water of life. Bless this body to be your One Body in the world. Amen. Most folks know Week of Compassion as the disaster response ministry of the Christian Church (Disciples of Christ). When there is a fire, we’re there. When there’s a flood, we’re there. Hurricane, tornado, earthquake: there. We respond to meet immediate needs in the aftermath, and we commit to sustained presence as communities look ahead and rebuild. Those are important parts of our ministry. But it isn’t the entirety of what we do. Week of Compassion also supports sustainable development projects all over the world. We empower families and communities to better support themselves, using resources that are often already available to them. Sometimes, this type of work does not feel as urgent as the devastation of a natural disaster, especially one that is trending on our local news every day. But this work is every bit as important and lifegiving as the other side of our ministry. 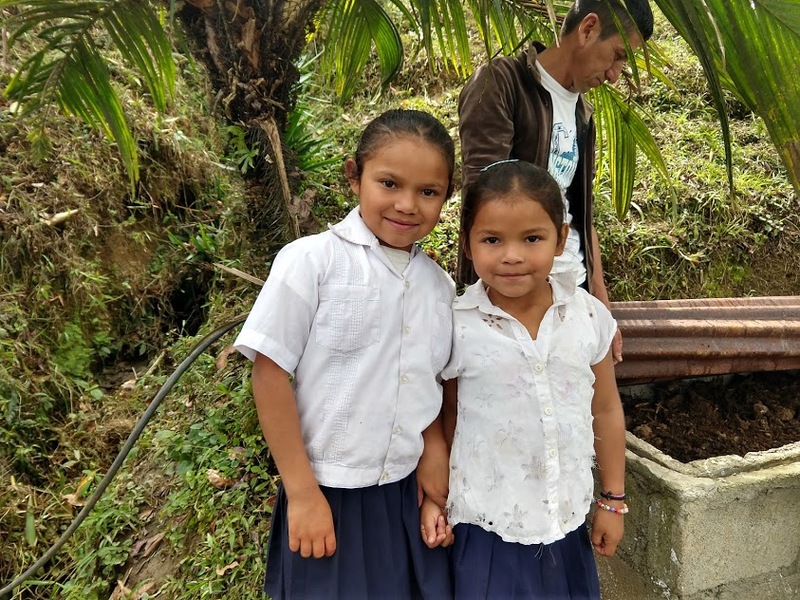 On a recent trip to Honduras, I was able to witness firsthand the kind of lasting impact that these development projects have and the ways in which our presence around the world shapes places for good. Along with our partners at Church World Service and Growing Hope Globally, we support the work of an organization called Comisión de Acción Social Menonita (CASM). Some of their staff work in the urban center of San Pedro Sula, addressing the violence and drugs that destroy lives and drive people out of the country. And some of their work focuses on agricultural development in rural areas, addressing the poverty and lack of opportunity that also drive families to migrate. We also heard another common thread in the communities that welcomed us: the work we support there is changing the narrative. The small rural villages that welcomed us were in various stages of development. Some are learning better sanitation and hygiene practices--receiving support to build latrines and wash stations. Some are receiving the resources to pave the floors of their homes or make improvements to their tin roofs and mud walls. These practices combined cut back on the spread of disease and the contamination of food sources. Other communities are learning to plant new crops or to sustain growth in conditions made more challenging by climate change. Some are learning to coop their chickens, or to raise tilapia. When a community completes these phases, they receive a cow as a ‘graduation gift.’ Once one family in a village has a cow, the nutrition of the children improves across the whole community, as milk and cheese are added to their diet. Then, when the cow has its first calf, the expectation is that the family will give it away to a neighboring village. This pay-it-forward mentality keeps the growth happening across many local communities. Everywhere we went, entire communities came out to greet us, to tell us the stories of what they have learned and what they can grow together after having been mentored by the amazing CASM staff. In some cases, people traveled for hours (in the rain!) just to thank us and tell us what our support has done for their family or their village. They wanted to show us how hard they are working, and how far they’ve come. This kind of support means families aren’t split up and communities are not disrupted as a whole generation seeks a way out. Through new opportunities afforded by the CASM program, more people feel that there is hope for them at home. In many cases, the growth of their farms also means they can afford to send their children to school, so fewer of their younger generation will leave them. Through education and agriculture, communities gain self-sufficiency and are empowered to build their future together. This work is every bit as transformative as the work of disaster response. And in fact, the two are not unrelated. What we’ve learned, time and again, is that empowered, well-connected communities are the most resilient in times of crisis. By supporting development projects in vulnerable parts of the world, we build capacity to endure emergencies, when and if they occur; in the meantime, your support brings hope and abundance to the everyday lives of God’s people. This is the work of the body of Christ-- around the year, and around the world. During the 40 days of Lent, we seek new ways of walking--and waiting--with God. The Church invites us to engage spiritual disciplines that might help us understand emptiness in new ways. We seek wilderness places where we might glimpse something holy in barren territory. But we don’t often think of that emptiness in literal terms. In the wake of disaster, bareness becomes a very tangible thing, something raw and visceral. Emptiness becomes a real lived experience. For the past week, Executive Director Vy Nguyen has been traveling in Indonesia with partners from the ACT Alliance and Church World Service. Together, they’re assessing the damage in that region; evaluating the progress of recovery efforts; and determining long-term needs moving forward. One thing that all the survivors have in common: waiting is now a very big part of their lives. And in the midst of all this, flags fly above the rubble. They’ve been placed where human remains lie; marking a memory of sacred life that has yet to be recovered. But in this holy season of Lent, we remember that we are called to the sacred work of waiting. More than that--we are called to an active waiting. We follow Jesus into the wilderness, the altered landscape of loss, because that’s where he always goes. We’re on this road together, to bear witness to the love that bears all things; even unthinkable suffering. By some mystery, our presence there is transformed to living hope. And we believe that, in the space that remains, God might do some new thing again. Even in the most barren places, there are glimpses of good news. Church World Service continues to provide resources to those sheltering in camps--including fresh water supply, delivered daily. Our partners through ACT Alliance work closely with leaders to provide psychological and emotional support. Plans are in place to build 200 more transitional shelters over the next two years, while looking ahead to long term recovery. And in the midst of all this, a sense of community abides. And the welcome even extends to strangers from far away... strangers who’ve come to wait with them for awhile. During this season of Lent, know that your giving to Week of Compassion reaches even the darkest of waiting places. And your generosity becomes living hope to those who wait. Thank you for letting them know that they don’t wait alone. When Mrs. F evacuated her home near Redding, CA to escape the Carr Fire, she didn’t know when she would be able to return. And she was fairly certain that when she did, she would be returning to ashes. Her home was, in fact, one of the 1200 homes destroyed by the fire. 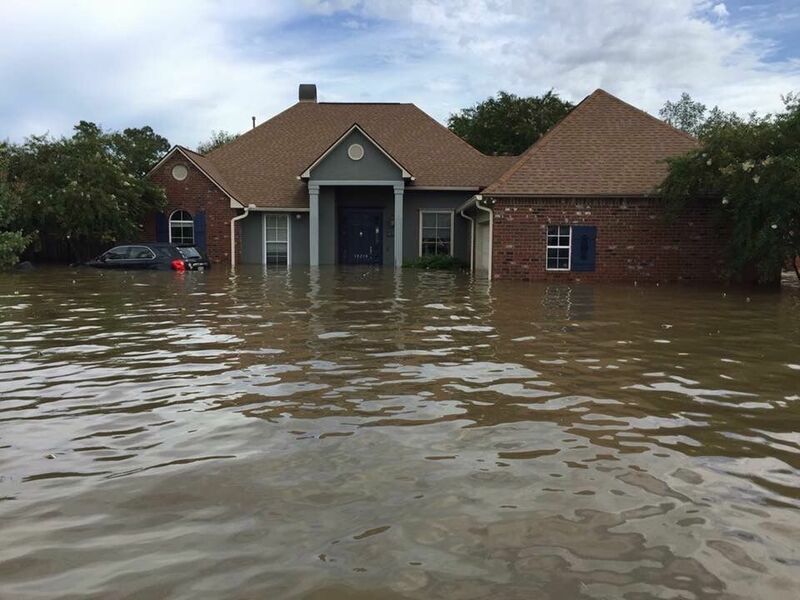 Mrs. F had insurance on her home, but her settlement will not be enough to rebuild. Meanwhile, she was denied FEMA assistance and is in the process of appealing the decision. At this point, more than six months out from the fire, hope can be fleeting, but small encouragements keep Mrs. F --and others like her-- moving forward. The role of community is priceless; both for practical, immediate needs, and for ongoing emotional and spiritual support. Your gifts to Week of Compassion mean that we can support people like Mrs. F at every phase of the journey towards recovery. As the Church prepares for Ash Wednesday, we are mindful of God’s presence with us through all seasons. Through times of joy and celebration; through heartbreak and loss; through times of tragedy and into days of rebuilding. As we receive the sign of ashes, we remember our own mortality, as well. We remember that life is fleeting, and that all we have will one day return to the dust. But more importantly, we remember that in Christ, all things are made alive--and that the God who made us will not leave us to the dust. We carry that powerful symbol on our bodies, so that we move through the season looking for signs of life. For new shoots growing--and for the transforming love of community-- we give thanks to God. We also give thanks for your gifts to Week of Compassion. With your support, we help make many kinds of new growth possible; in every season. These words often mark the beginning of a recovery story. After a disaster, life never looks quite the same. Many survivors tell us that they view the world in two distinct parts: before and after. When Week of Compassion begins its work with a family, congregation or community, they are often in the beginning chapters of their “after” story. It means a long and difficult journey ahead; it also means there are hopeful days to come. “After” is such an important part of the work that we do, many don’t realize that Week of Compassion also offers resources to help “before.” Before the flood, before the fire, before the storm… We want to help congregations prepare for the unexpected long before disaster strikes; so that when it does, the Church will be far better equipped to serve its neighbors in the aftermath. With the effects of climate change, natural disasters are happening with more frequency, and with greater severity, than ever before. There has never been a more important time for communities of faith to be ready to respond--quickly and effectively-- in an emergency. Whether you live in an area vulnerable to floods, fires or tornadoes, there are practical steps you can take to ensure that your church’s leaders (and facilities) are prepared to serve in times of urgent need. Week of Compassion is now making it easy for you to join us for a disaster preparedness event. In partnership with Disciples Seminary Foundation. We are offering a free webinar on Tuesday, March 5. Associate Director Rev. Caroline Hamilton-Arnold will use her wide range of experience in disaster relief to help your congregation put a plan in place. You can register here. Rev. Cathy Myers Wirt is co-regional minister in the Oregon/Southwest Idaho Region, and participated in a live version of the training in the fall of 2018. She says, "since our geographic area expects a large earthquake in the near future, our regional church hosted a disaster preparedness training with 30 persons from 8 congregations last fall to begin working together on organizing resources for disaster response. The leadership of two staff members [from Week of Compassion and Disciples Volunteering] gave the participants a full vision of our whole Church’s shared ministry of disaster response and rebuilding efforts. Congregational leaders used tools provided by the trainers to assess our own preparedness for emergencies in our own communities. This event generated the energy for a second event this spring. The Week of Compassion staff brought keen insight and experience, providing us with the resources to continue our work toward a coordinated and developed emergency plan together." Disaster strikes unexpectedly, disrupting daily life and displacing families. Sometimes, a disaster meets a pre-existing social condition; compounding the fall-out, and making an already complicated issue even more difficult. According to Pastor Kearns, the community of Chico and the county as a whole were already facing a housing shortage before the fires occurred. In fact, the situation had gotten so bad that the City Council was preparing to declare a housing crisis, due to the lack of affordable, available housing. Once the wildfires descended on the surrounding area, many more residents were displaced. While the community extended an immediate outpouring of compassion and mercy in the wake of the fire, the matter of housing grew even more complicated. As the early weeks of recovery wore on, tensions rose. Two weeks before Christmas, torrential rains finally extinguished the fires that had done so much damage. But that also meant flooding in areas where displaced people were camping in tents. Those fields had to be cleared leaving many, yet again, with no place to go. First Christian Church, Chico, was prepared. As a designated Red Cross disaster shelter, the congregation had been ready to open their doors to those in need of shelter back when the fires began. While their space was not needed immediately for that purpose, the church was called on to open their door to their neighbors who now needed shelter from rain and flooding. In spite of the unique challenges present in this disaster, outside relief workers (such as FEMA personnel) have noted that this small town in California seems more resilient than most. Pastor Kearns attributes that resilience to an already close knit community. Churches and other organizations were better prepared to serve neighbors in an emergency, because they already had strong relationships. An ecumenical group of congregations formed an alliance to meet immediate needs. Each of those churches initially received support from their respective denominations’ disaster relief funds. A gathering of Buddhists contributed to this work as well, making it an interfaith effort. First Christian Church received solidarity grants from Week of Compassion to help them in serving their neighbors immediately after the fire. In addition to meeting practical, physical needs, these churches joined efforts to host an interfaith service of hope and healing. And now, with long-term recovery work underway, several of those congregations are preparing to provide grief support groups to those affected by the fire. Week of Compassion is partnering with FCC to help provide this crucial ministry. Meanwhile, several FCC families are among those displaced by the fires. And their neighbors to the north--First Christian Church, Paradise-- still can’t occupy their building because of damage in the area; and the majority of families from that church have been displaced as well. So First Christian, Chico has opened its doors to provide sanctuary to this neighboring congregation. They recognize the importance of being together with church family in this difficult time, and have made it part of their mission to extend that hospitality. As with any major disaster, the work of recovery and rebuilding is ongoing. Even with many good efforts underway, funding is critical for these programs to continue. While the community and local partners prepare the infrastructure to receive volunteers for rebuilding, for now the best practice of “Stay, Pray, Give” applies for those who wish to provide meaningful support. Like Pastor Kearns said: everyone is feeling the impact of this fire, whether they are in the burn zone or not. That is the nature of community--and that is also the nature of the body of Christ. Where one part suffers, all parts suffer; and where one part finds hope and new life, the many parts receive hope and new life. With the wide range of needs resulting from this tragedy-- from the complex housing situation to the ongoing need for emotional and spiritual care--your gifts to Week of Compassion give hope and new life in more ways than we can imagine. This past weekend I was in Iowa with a local congregation, promoting Week of Compassion’s special offering. One of the things I always enjoy in my travel is the invitation to come into a person’s home and share a meal, and on this trip I was able to have a potluck dinner with a few people as heavy snow started to pour down on the city. Often, my travel can be long and far, and sometimes the itinerary can be extremely busy. But it’s always the meals in someone’s home that I find the most meaningful. Whether gathering around a rectangular table or a round one--or more often, sitting on the family’s floor on a mat that has been passed down for generations--I always look forward to the meals that we share together. On my most recent visit to Sierra Leone, we sat in small chairs around a circle, where we ate local cassava and were able to feed one another. The children were running around and chasing one another. During the meal, we also heard stories of families trying to rebuild after losing so many of their loved ones to the ebola outbreak several years ago. On my visit to Myanmar, we sat outside on someone’s deck as our hosts served fish and rice. We heard stories of families that are now able to send their children to school to get an education, and where the adults can work in the field to generate income to support their family. Because of these opportunities, the families are also able to support their local community. Meals are the time that I lay my itinerary aside, and gather with our friends and partners as they share stories of joy and despair; of pain and healing; of hope, reconciliation, and new life taking shape all around. The gratitude that I hear expressed around these tables is not extended toward me, but toward you: the Church. Your support for Week of Compassion enables us to serve communities, providing the necessary support to rebuild and look ahead to a more hopeful future. Like our friends around these many tables, I too am grateful for your continued support for Week of Compassion; especially during this week when congregations across the United States and Canada share in the special offering to support our vital work around the world. Your ongoing generosity enables us to implement our mission as the relief, refugee, and sustainable development fund of the Christian Church, Disciples of Christ. In 2018 alone, your gifts allowed us to distribute over $2 million to communities experiencing disaster of many kinds. As the global refugee crisis continues to escalate, we provide emergency support in the Middle East and Southeast Asia for refugees fleeing their homes due to violence. We continue to work with and rebuild communities affected by domestic disasters within the last few years, including those in South Texas, Florida, Puerto Rico, and North Carolina that were affected by hurricanes; areas in Northern and Southern California affected by wildfires; and communities in the Midwest affected by tornadoes and severe storms. Though many communities affected by disaster and conflict no longer appear in news headlines, we continue our presence in places of ongoing recovery. We also work to strengthen communities through clean water sources; access to education for young girls; and food security, in such places as Ghana, Honduras, Cambodia. In the midst of ongoing disaster relief, we also work closely with partners to promote preparedness as part of our long-term strategy. Working with communities and congregations long before a disaster means we can help provide immediate relief after a disaster. This approach helps communities to be resilient and sustainable. This is just a small glimpse of the work that you enable--not just during special offering, but around the year, and around the world. Through the ministry we share together, we are able to not only walk with people during times of crisis; but also empower them to rebuild their own communities. Together, we continue to extend the table farther; and our gifts do more than we can imagine. Imagine a 12-year-old girl or boy whom you might know. Maybe this is a neighborhood child, or perhaps one of your own children or grandchildren. In your mind, what is this child doing on a normal day? Going to school? Eating lunch with friends? Arguing with a sibling about what tablet game they will play after school? Today I would like to introduce you to another 12-year-old girl. Her life is a little different than the one you might have just imagined for the student you know. We’re going to call her Z, which is the first letter of her name. She was born in Iran, but her family had fled from Afghanistan and was never fully accepted into Iranian society. So, like millions of other refugee and immigrant families, Z’s family began the long journey towards a better life. They came through Serbia, hoping to eventually get to Germany. “O taste and see that the Lord is good; happy are those who take refuge in God,” the Psalmist sings (Psalm 34:8). By your gifts to Week of Compassion, Info Park is able to assist refugees to find a place of respite and a bite to eat when they are hungry. They also help young girls like Z inch closer and closer to the goals that seemed impossible as they navigated borders, checkpoints, and life as exiles. Your gifts provide for learning centers where girls and boys can escape the life of refugee camps and experience the normalcy that children in many parts of the world take for granted. Assisted by your generosity, Z embarked on a path towards education that she and her mother had dreamed of. Her days became filled with learning--first at Info Park, then at a German school in Hamburg. *Since July 2016, nearly 170 women and girls have attended German classes at Info Park with support from Week of Compassion partner, Church World Service. Teachers from Germany, Austria and Switzerland inspire students to gain confidence, knowing that if they work hard they will have more opportunities. Setting: This station could be set up in a lobby or fellowship hall as a reminder of the offering or as part of your worship space. Intention: Through the display of images, participants are able to connect with the work of Week of Compassion. It is an opportunity to pray for the work and it serves as a reminder about the special offering. Materials and Setup: Pictures, printed or cut out from the 2019 Resource Guide, that reflect the work made possible by the Week of Compassion offering. Include the captions that describe the work depicted. Display them on or above a table that also has pens and paper, a bell or chime, and (if appropriate in your space) candles for lighting. Consider how God used our Week of Compassion offerings to help restore and strengthen communities in ways beyond our imagination. Offer prayers for the people in the pictures and their communities and for the work we do with them through Week of Compassion. Sometimes, God’s call to ministry is a call to cross an ocean. When Ji-a and Jung* boarded a plane with their two toddlers, they couldn’t see the fullness of God’s plan. They only knew that attending seminary in the United States was a door to their future ministry. They overcame the disorientation of raising a family and attending school in a new culture. They found community in their local Disciples of Christ church, where they led the music and children’s ministries. The family had been in the States for more than ten years--and worked through multiple degree programs-- when Ji-a got a notice from the government saying there was an issue with her immigration status. It was confusing because she had always tried to do everything exactly right, knowing that her whole family’s immigration status was contingent upon hers. She didn’t know that, months before, her school had made a technical error with her paperwork. That mistake, which was no fault of her own, threatened her family’s future in the United States. It also threatened to end their ministry here. At this point Ji-a contacted Disciples Immigration Legal Counsel, a ministry of Disciples Home Missions in partnership with Week of Compassion. Over the next several months the Disciples immigration lawyer represented her before the Department of Homeland Security to file for reinstatement. The children—now in middle school and high school, having lived here for as long as they could remember—continued their band practice and soccer matches under the cloud of possibly having to leave the country. It was a stressful time for the whole family. Finally the notice came, granting the family more time in the U.S. and allowing Ji-a to finish her Master of Divinity degree. Ji-a was overjoyed because, as she said, “I know I need to learn more [of] the Bible to provide my loved ones in Christ with the power and wisdom of God’s Word.” Ji-a and Jung know they are where God has called them to be right now. Like most immigrants, Ji-a and Jung face ongoing challenges. A student visa is always temporary, making status tenuous even if they’ve been here raising a family for years. Now that they have completed school, the couple is seeking a call so they can apply for a work visa. The search and call process is stressful for anyone finishing seminary and beginning ministry. But for international students, there is much more at stake. Their ability to stay in the country is dependent upon them receiving a call to a church that is willing to engage in the immigration process on their behalf. Disciples Immigration Legal Counsel walks with families through this process long-term, even as they face transitions and changes in status. Your generosity makes it possible for Disciples leaders like Jung and Ji-a to live into their calling. Your Week of Compassion offerings do More Than We Can Imagine. “Home” is a word we throw around quite often around Christmas, with songs on the radio reminding, albeit sentimentally, that there is no place like home for the holidays and crooning of a longing to be home for Christmas. Home is a word that shows up quite often, as well, when we talk about the ministry of Week of Compassion. Be it in rebuilding houses after hurricanes or tsunamis or in resettling refugees and migrants displaced by violence, restoring home is a fundamental part of our work. The celebration of Christ’s birth invites us into an even deeper and holier sense of the word home. This fourth verse of “Hark! The Herald Angels Sing,” in the form of a prayer, suggests that home is something far more intimate and more powerful. These words, so often accompanied by fanfare and the organ with the all stops pulled out, entreat the incarnate one to take up residence not just among us, but indeed within us. When Christ dwells within us, home is the place where God’s love is made known, where God’s love works through us. The mission of Week of Compassion is born out of this desire both for Christ to be present among and within us and for us to recognize our neighbors as the dwelling places of God. This year, your prayers, partnership and financial support have enabled this work around the world. In Bangladesh, summer floods ravaged dozens of districts in the north, northeast, and central parts of the country. The water damaged or destroyed an estimated 700,000 houses, and millions of people felt the effects on their businesses, their crops, their livestock, their health, and their homes. Your Week of Compassion worked with partners and helped provide emergency food supplies to thousands to address the immediate crisis. Thousands more received training and materials to repair their houses, rebuilt stronger to withstand future storms. Seeds, livestock, and market-driven skills-trainings helped communities revive and generate sustainable livelihoods. For Ajuwa, Imani, and their four children--refugees from the Democratic Republic of the Congo--home is now Greensboro, North Carolina, after years of fear, danger, and instability. With your support to Week of Compassion, the CWS resettlement office has helped Ajuwa find a good job and obtain his driver’s license. The family has saved up for their first car to drive their kids to school. This fall, the Camp Fire damaged the houses of nearly every family in the congregation of First Christian Church, Paradise, California. Two out of every three of those families returned to find only ash and rubble. Even as the future is uncertain, the congregation is finding strength in their relationships with one another and with the wider church. Because of your partnership, Week of Compassion was able to provide solidarity grants for the church and the families and has committed to supporting the long process of rebuilding ahead. During the Ebola outbreak in west Africa a few years ago, thousands of people died, and survivors were restricted from gathering together, since the disease is so highly contagious. In the years since, community members, especially the women, have been leading their communities along the path of recovery--healing from the grief of so many deaths, reviving the devastated local economies, and restoring the bonds of community torn apart by the epidemic. Your gifts to Week of Compassion has allowed women to gain livelihood skills and micro-credit loans so they can begin to work and generate income to support their families again, thus lifting up their communities to overcome the pain and hurt from the outbreak. These are just a few of the places your gifts have made an impact this past year. Thousands of lives have been touched by your generosity, partnership, and solidarity. Thank you for your gifts to and partnership with Week of Compassion. Thank you for the many ways you make a place for Christ to dwell. This Christmas, may you be filled, again, by the power and wonder of Christ at home with and in us all. As we begin the season of Advent and anticipate the celebration of God coming to live among among us, I am remembering a powerful experience of Immanuel. In early October, I and other General Ministries representatives -- including our own General Minister and President, Rev. Teresa Hord Owens -- were in South Texas where we were indeed powerfully reminded of Immanuel, that God is always and ever with us. We met an amazing five-week-old baby girl whose mother named her “Emmanuel.” Emmanuel is a beautiful child, and her mother loves her so much, and we understood why: her small fingers, her tiny nose, her eyes staring at us as we held her in our arms. She is an amazing gift to her mother and to this world, for she is a powerful reminder of God in our midst. Emmanuel and her mother are being sheltered by a Week of Compassion partner, Southwest Good Samaritan Ministries, supported by your Week of Compassion gifts. We are assisting the mother and child in their request for refugee status. That is a long process, so in the meantime, your dollars to Week of Compassion are taking good care of both of them—providing food, clothes, legal assistance, and medical attention. It is a long and difficult journey ahead for Emmanuel and her mother. But they are not alone on their journey. Your financial support to Week of Compassion witnesses to a Church that is walking with Emmanuel and her mother as they seek a community of peace and transformation. The money you give to Week of Compassion enables us to stand with the millions of people around the world who are displaced by violence, by political conflict, by economic oppression, and by natural disasters. Because of your gifts to Week of Compassion, they are not alone. Your gifts are signs of God-with-us, of Immanuel. Offering clean water, providing medical supplies, protecting and caring for people like Emmanuel and her mother. By the sharing of our resources, along the way in our journey, we are reminded of our God—a God who is ever with us. Rev. Erin Wathen will join Week of Compassion in January as the new Associate Director for Marketing and Communications. Erin has served as Senior Pastor of Saint Andrew Christian Church in Olathe, KS, since 2013, and is the current Moderator of the Christian Church of the Greater Kansas City Region. Prior to her ministry with Saint Andrew, Erin served at Foothills Christian Church in Phoenix, Arizona. She is the author of two books, the most recent of which was named by Publisher's Weekly as one of the top 100 books of 2018. Executive Director Vy Nguyen notes that "Erin has a deep desire and passion to share the good news to the people we serve and to our church; she knows our local congregations extremely well and has a passion for the work that we do, both domestic and globally. The church and Week of Compassion will continue to benefit from her tremendous gifts." Erin is a graduate of Transylvania University and Lexington Theological Seminary, and has recently earned a post-graduate certification in Nonprofit Leadership from Rockhurst University. She is also a Bethany Fellow alumna and was the 2010 recipient of the Fred Craddock Award for Excellence in Preaching. A recognized voice in the wider faith community, Erin’s blog, “Irreverin," is featured on the Patheos Interfaith Network, where she writes about the intersection of faith, culture and public discourse. Erin lives in Olathe with her husband, Jeremy, and their two children. As the relief, refugee, and development mission fund of the Christian Church (Disciples of Christ), Week of Compassion works with partners to alleviate suffering throughout the world. Vision: A world where God’s people transform suffering into hope. The church was thought to have burned. Given its location within an early evacuation zone, First Christian Paradise was assumed among the buildings destroyed by the Camp Fire in Butte County, CA. With the town under mandatory evacuation, Pastor Janice McCollester and other church leaders were unable to return to the church to confirm. On Sunday, the congregation gathered at First Christian Church Chico, which graciously opened its facility, setting up a worship area for FCC Paradise and helping Skype in Pastor McCollester from Los Angeles and others who had evacuated out of the area. Eventually, Pastor McCollester was able to get in contact with firefighters who went by the location of the church and reported it was still standing, unburned. The report comes as “a bit of light among all of the grief and loss,” as Regional Minister LaTaunya Bynum describes it. Among the nearly 9,000 destroyed structures, however, are most of the houses in Paradise, including the homes of most of the members of the church. The exact extent of the damage will not be known until evacuations are lifted and members are able to return, but the effects will be widespread. Week of Compassion has already begun providing solidarity grants for affected families in the Paradise and Chico congregations and are in touch with ecumenical and area partners to support relief efforts. FCC Chico is in conversation with the area Interfaith Council to identify options for long-term assistance, while FCC Paradise is first focusing on accounting for and caring for their members. The Camp Fire, which has burned 140,000 acres, has resulted in at least 56 casualties, with hundreds of others still unaccounted for. Immediate needs are shifting quickly, but recovery from this fire, which comes at the same time as the Woolsey Fire in Southern California and just three months after the destructive Carr and Mendocino Complex fires, will be a long process. Representatives from Northern California VOAD (Voluntary Organizations Active in Disaster) told Week of Compassion staff on Thursday that this is the first time they have seen this percentage of fire damage in a single municipality. Long-term recovery, especially restoration of infrastructure and housing, is of major concern. Another significant concern they note is the high percentage of elderly residents and residents with disabilities and access and functional needs. Your prayers and gifts help Disciples respond now--with solidarity grants through our local congregations--and throughout the months and years to come. Week of Compassion partner Church World Service (CWS) notes that in the last four years, more than one-and-a-half million Venezuelans have fled their country in what is now the “largest humanitarian crisis and exodus in Western Hemisphere history.” Martin Coria,CWS staff member, says “Most Venezuelan migrants are escaping a collapsed economy (1.000.000 annual inflation!) where buying nutritious food and medicines, access to health care and meeting basic needs is increasingly difficult… I heard many testimonies of Venezuelans who even after working all week full-time could not afford to buy one day´s nutritious meal for their family.” Complicating the situation is that most of these migrants have fled to Colombia, a country that itself has experienced its own challenges in recent years, including war and violence, human rights violations, internal displacement, and poverty. Opportunities for recreation are important for the children of refugees. Week of Compassion is responding to this plight in several ways, particularly assisting those Colombian families who are taking in displaced Venezuelans, despite their own struggles. In the border town of Saravena, a carefully designed humanitarian assistance and support project is directly serving five hundred Venezuelan migrants with vouchers for both food and hygiene, as well as livelihood support through the purchase of needed tools for migrants to work. In addition, families receive micro-business development training, and women and girls receive counseling on gender-based violence and access to legal and psychosocial support services. These programs are making a huge difference in the lives of these migrant families! Amen! Through your partnership and prayers, you are continuing to help put dignity and compassion first. Thank you! Once again we find ourselves holding our breath as we watch another calamitous storm batter our brothers and sisters. This time the storm’s name is Michael, but it has quickly followed upon Florence in the southeast United States, and Lane, Norman, and Olivia in Hawaii. And, of course, we also recall our extended family in Asia as Typhoons Mangkhut and Jebi battered The Philippines and Taiwan, along with the horrific damage done in Indonesia by the recent earthquake and tsunami. It has been a hard, hard year for too many of our kin around the world! The reality is that we may be tempted, in the face of such a list (and it is only a small portion of this year’s disasters) to “compassion fatigue,” to walling off our hearts to so much hurt and pain. I hope, though, that we won’t and that we will pray God’s help to continue to want to know how to assist those in any part of the world who are caught up in these terrible storms. For those who have lost lives and loved ones, those who have had their homes battered and bludgeoned, those who have fled and live in fear of what they will return to. We also pray in thanksgiving for all those first responders who often risk their own lives to help: police and paramedics, firefighters and FEMA workers, doctors, nurses, and pastors, and so many more. May God grant them both courage and patience in the midst of overwhelming need. We don’t fully know the effects of Hurricane Michael as of this writing, nor do we have many reports from Disciples congregations or families who may have been affected. We are aware of a few Disciples congregations who seem to have fared okay – and are already working on how they can help their neighbors! We will doubtlessly hear more specifics in the coming days. But please know that Week of Compassion is staying in close touch with Disciples and ecumenical partners in the area as well as working closely with our General Ministry partners and our General Minister and President Teresa Hord Owens to coordinate information and relief efforts. Importantly, as our partners begin to plan for long-term response, we need your continued support and partnership that we may continue to offer assistance, short-term and long-term, wherever disaster strikes. I know that many will want to go to Florida and Georgia to assist, but please understand that it is too soon to do so and that there will be ample opportunity later for volunteers. Right now the best thing you can do is “stay, pray, and donate.” You may donate through Week of Compassion’s website designated for Hurricane Relief or through your local congregation with the same designation. In the weeks and months ahead, as we get more information on the impact of the storm, we will provide updates on our social media; I hope you’ll follow Week of Compassion on Facebook or Twitter to receive these updates. On the evening of Friday, September 28 (local time), the central Sulawesi area of Indonesia was hit by a magnitude 7.4 earthquake which triggered a 10-to-20-foot tsunami along the coastal areas. The Indonesian Disaster Management Agency says that dozens of buildings collapsed during the quake and ensuing deluge, and the current death toll stands at over 1200. Almost 50,000 people have been displaced from their homes. The sheer destructive power of earthquake-driven tsunamis is almost impossible to describe. Thousands of people in Indonesia have once again been struck by the deadly combination of earthquake and tsunami, even as parts of the country are still in long-term recovery from the 2004 tsunami. News reports tell of “terrified survivors huddled in a devastated city rocked by aftershocks, and of entire houses being sucked into the ground, as the full scale of Friday’s earthquake and tsunami disaster begins to emerge.” Overwhelmed by the number of dead, hundreds of bodies were buried in mass graves to prevent the outbreak of disease as critical transportation and communication infrastructures were damaged, impeding the efforts of rescue and recovery workers and the receipt of emergency aid. NPR reports that “Thousands of people began camping at the airport over the weekend, hoping to leave. But the airport has been operating at partial capacity since it reopened. And as they wait for a chance to fly out, people are also enduring heat of more the 90 degrees, with little to sustain them.” Electricity continues to be out in the area; portable generators are being airlifted in but the damage to the local airport has slowed that effort. Our partner, ACT Alliance, is on the ground and currently accessing the damage and coordinating relief efforts. They note that thousands of persons are in a “desperate situation, with many unmet vital humanitarian needs such as access to sufficient food , safe shelter and basic non-food items, basic health services and facilities, safe drinking water, as well as sanitation and hygiene infrastructure.” Together, with Indonesian officials and other agencies, Week of Compassion will work with partners, including ACT Alliance, in helping distribute emergency assistance in a variety of forms in the days and weeks ahead. Warfare and strife have too long been the companions of many who live in Eastern Europe where poverty is rampant. In Georgia, Moldova, Bosnia, and Herzegovina, too many children study in under-heated classrooms and learn by candlelight; people use polluting and health-damaging fuels for heating and cooking; and women bear the burden of food preparation, cooking and heating the home, which negatively impacts their health, and limits educational and livelihood opportunities. Many remote rural areas still lack electricity and adequate sanitation services. But life for many is now warmer, safer, and healthier thanks to Week of Compassion partner Church World Service’s Renewable Energy Technologies (RET) program. One of those families for whom life is now a little brighter is the Vladusic family, who received a new solar cell system. The family lives in the village of Donji Tiskovac in Bosnia and Herzegovina. The family returned to their ancestral home in 2004 from Serbia, where they fled during the war. In Tiskovac, there is no electricity. Dragan is the only son in the small family of three and is the only child in the village. Dragan travels 60 kilometers to school and back each day for his only connection to peers and learning. By providing electricity to people in rural areas like Tiskovac, CWS has helped the Vladusic family and other families to stay on their land and prosper from it and for their children to live and learn in decent conditions. The RET program has now trained over 600 people in constructing and maintaining renewable energy technologies including solar dryers, solar electricity production, solar house heating systems, fuel-efficient stoves and water heating. Other initiatives include better sanitation, sustainable agriculture, soil and water protection, safer waste management, and collecting and drying wild fruits and medicinal plants. In four schools and summer camps in Moldova (the poorest country in Europe, where almost 50% of the inhabitants live below the poverty line), solar water heating systems were installed that benefited almost 1800 children. Families in Bosnia and Herzegovina received solar cells that made possible electricity and adequate and sanitary hot water. A priority in all areas of CWS’ work is to empower vulnerable women (heads of households, unemployed with little/no access to other income generating activities). More than 60% of beneficiaries are women. The burden of collecting firewood and heating water largely falls to women, who care for the basic needs of the households. Labor-saving devices are clearly a priority for rural women, given the inordinate amount of time and energy that they expend on household work. Fuel efficient stoves and solar water heaters provide significant time savings to women. Thanks to your gifts to Week of Compassion, life for many families is (literally!) brighter, warmer, and less trapped by poverty.